Denmark leads the competition by three strokes from South Africa on 143 with hosts Argentina, Uruguay and Spain tied for third, five shots off the pace on 148. Uruguay’s Juan Alvarez shot a 69 to lead the individual standings on two under par. Australia won the title last year from New Zealand and Ireland’s Reeve Whitson and Richard O’Donovan. Ireland are tied for sixth place entering Sunday's final round of the Copa Tailhade in Argentina. Ireland's Stuart Grehan and Richard Bridges are five shots off the lead after the opening round of the 43rd Copa Tailhade in Argentina. 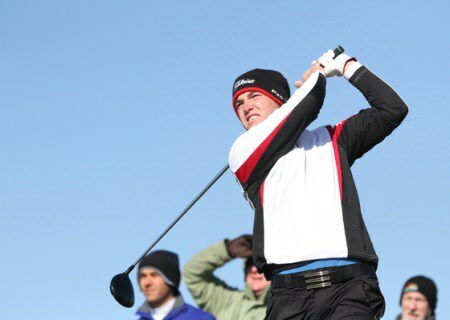 Rory McNamara has struggled so far to play his best golf in Argentina. 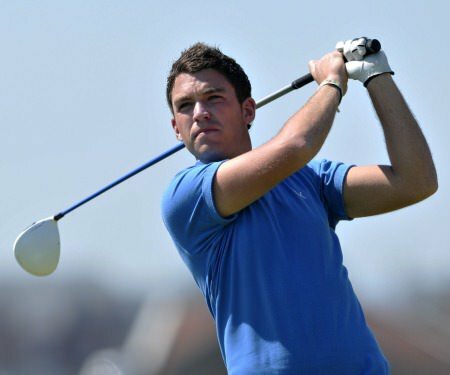 Picture www.golffile.ieIreland’s Stuart Grehan and Rory McNamara moved up to joint fourth behind leaders Spain after two rounds of the Copa Juan Carlos Tailhade in Argentina. Rory McNamara. Picture: Pat Cashman/www.cashmanphotography.ieHeadfort’s Rory McNamara shot a two under 69 and Tullamore’s Stuart Grehan a 71 to leave Ireland tied for third entering today’s final round of the Cop Juan Carlos Tailhade in Argentina. 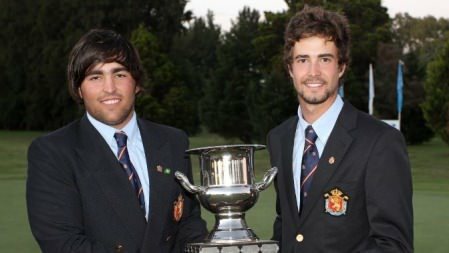 Spain’s Mario Galiano (left) and David Morago won the Copa Juan Carlos Tailhade in Argentina. Ireland’s Stuart Grehan and Rory McNamara finished fourth behind Spain in the Copa Juan Carlos Tailhade in Argentina on Sunday. Irish Open venue still up in the air?